As you could read in my last post I visited the Zoe Karssen Sample Sale in Amsterdam last Saturday (here). These were my buys! Since I have been buys quite alot of items lately (not spending much money though!) I had restricted myself to only buying the items I really wanted. And Thank God for me, all three items were on my wishlist! 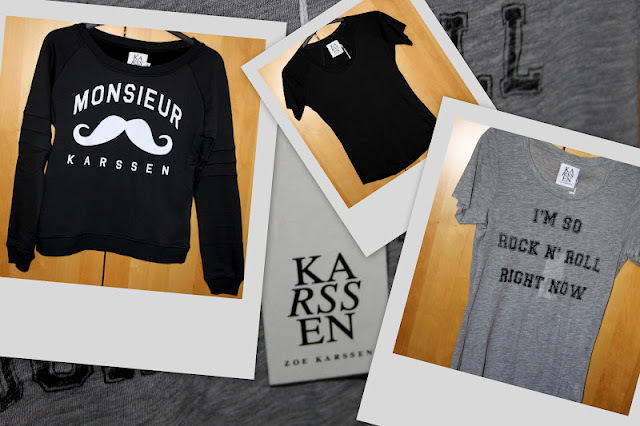 A simple basic tee, the Monsieur Karssen sweat and the I'm so Rock n' Roll Tee. As you might have noticed these items were on my fashionalista account (here) and on my b-day wishlist (here). What do you think of my buys? Did you also attend the sample sale?